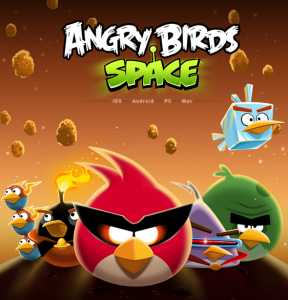 A New Angry Bird Game from Rovio called as Angry Bird Space, All time Blast in Space . Angry Bird Space is now available on Android, iOS, MAC and Windows PC. The Story of Angry Bird Space, Evil Pigs have stolen Eggs of birds and hence Birds are getting Angry on Pigs and Eggs are hidden in Space. Hence Birds have to explore Galaxy and have to get their precious Eggs. Angry Birds chase it into a wormhole and find themselves floating in a strange new galaxy surrounded by pigs and Birds comes with some super power. Angry Bird Space comes with Zero Gravity so their will be no angle of deviation and birds fly through space on an intergalactic rescue mission.